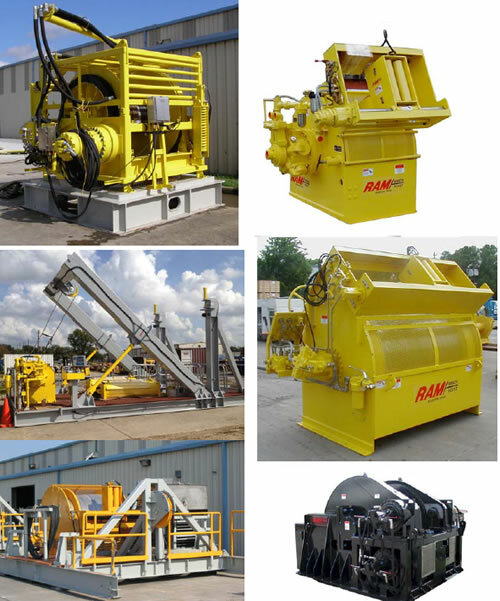 Like all the RAM’s winches, our Engineered Custom winches & hoists are application specific, rugged, tough and dependable. Built from low‐temperature materials and fully capable of meeting current ABS, DNV or LRS, Third Party certification requirements, the RAM’s winches can handle any application found on today’s modern Floating Rigs and Production Platforms anywhere in the world. Available in Single Speed, Two Speed, Infinitely Variable Speed and with Constant /Continuous Control Systems. These hoist can be rated for working capacities in air , at the waterline or down at the Seabed.